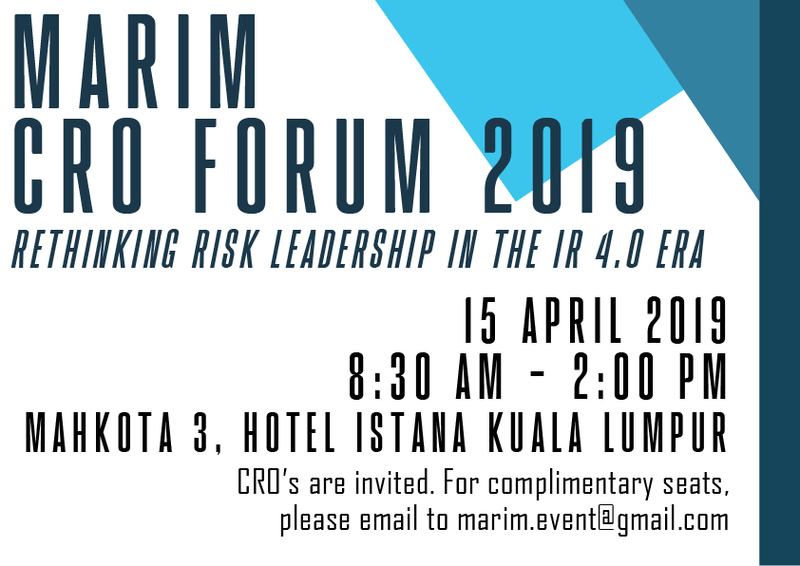 CRO Forum is conducted annually for risk and insurance practitioners to meet, learn and exchange views on risk and insurance management practices. 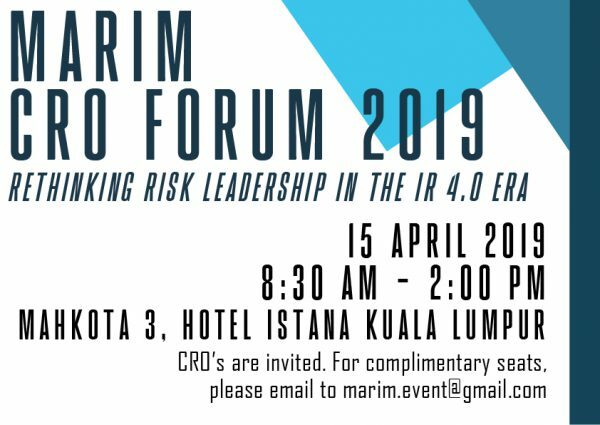 The theme for this year’s CRO Forum is “Rethinking Risk Leadership in the IR4.0 Era”. The forum will bring together at least 150 risk and insurance practitioners, including Chief Risk Officers and heads of risk from various corporations and industries.